If you’re a professional woman looking to return to work after an extended absence, you’re in luck. 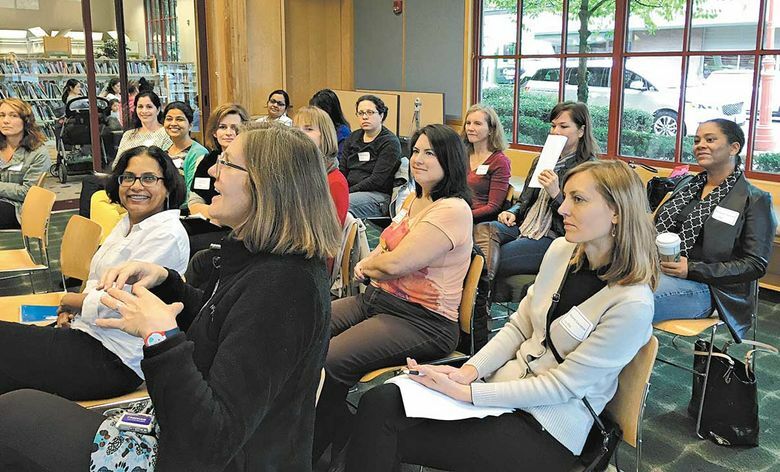 Seattle is seeing a growth in so-called returnship programs, ushering in what may be the next recruitment zeitgeist as firms focus on gender diversity. Returnships are fixed-length, paid placements geared to those who exited the workforce for two or more years, often to take care of family. Trademarked by Goldman Sachs in 2008, today a search for “returnship” on social media reveals dozens of posts from organizations that utilize them as on-ramps to employment. Massachusetts-based reacHIRE is one such group. Having established itself with an 88-percent job-placement rate in its Boston program, reacHIRE recently launched in Seattle. CEO Addie Swartz says the company works directly with hiring companies to tailor a training program and identify concrete job opportunities for returnees. For Seattle’s inaugural cohort in early 2017, there will be 15 roles available. Swartz is excited to “land and expand” in Seattle, and refill what she sees as a leaky talent pipeline. As reacHIRE senior recruiter Kelly Lynch notes, the market here is tightening, and it’s harder and harder for companies to find good talent. “There is a lack of women in technology roles, yet an increasing need for this talent,” Lynch says. For interested returnees, reacHIRE is accepting applications, as well as hosting information and education sessions around town. Seattle is also part of New York nonprofit Path Forward’s expansion strategy, according to executive director Tami Forman. Forman and her team are currently contacting local companies to get a sense of receptivity, with the goal of having a program in place by the first quarter of 2018. In 2015, Path Forward partnered with Seattle software company Moz on three technical returnships. When web developer Rachel Thibodeaux came across the postings on an online job site, she jumped at the chance to bring her technical skills current after a four-year break. In her interview, Thibodeaux says she “felt self-conscious about the fact she would need help to get up to speed,” and worried she would be a drain on her Moz teammates. A third group, ReBoot Seattle, just wrapped its debut program. Using a 32-hour curriculum that was created at parent company GSVlabs in California and adapted for the local market, ReBoot functions more as a “pipeline for returnship programs,” as Seattle program director Nancy Jensen puts it, and comes with a course fee. It teaches the latest in office productivity and job-searching tools, and includes segments on personal branding and elevator pitches. Toward the end of the program, a panel of recruiters spends time with the returnees. Of the first cohort, Jensen estimates about 75 percent had worked in technology before, but in nontechnical roles, about 25 percent came from an engineering background, and about two-thirds held advanced degrees. “It’s inspiring to hear them [the returnees] talk about what they’re going to do next,” Jensen says. In an effort to foster a professional-development community, there will also be the membership-based Club ReBoot. Its kickoff event is Wednesday from 6–8 p.m. at WeWork’s Holyoke building, 107 Spring St., and is open to anyone interested in learning more about ReBoot’s offerings, including a five-day boot camp scheduled for March. While these new initiatives seek to connect workers with companies, Swartz also articulates a bigger vision that’s in play: changing how America thinks about hiring older women.